Far from his first brush with the law, Carlos Rodriguez shot to internet stardom years ago after his 2010 arrest for solicitation of a prostitute. 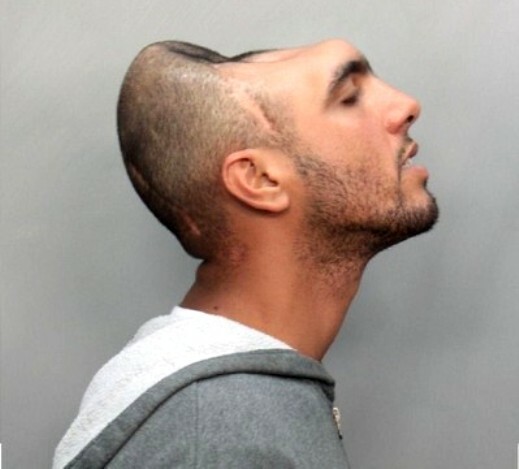 In his mugshot, the entire front portion of his skull is sunken in, like a giant scoop of his head taken out. People claimed the picture had to be fake. Unlike "Halfy" Rodriguez, Ben Maycock's injury was not self-inflicted. Two men were jailed over the ‘merciless’ hammer attack upon Maycock in 2010. 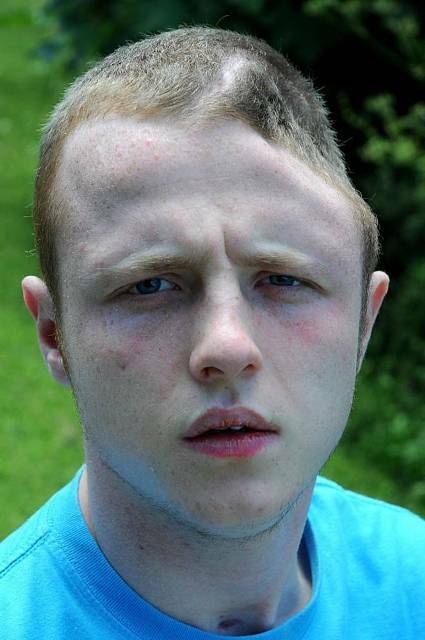 His grief-stricken family were told to prepare for the worst but doctors at Queens Medical Centre, Nottinghamshire UK, managed to save his life by cutting away his skull to relieve swelling. He spent three weeks in a coma. Since then, Ben has made an amazing recovery. 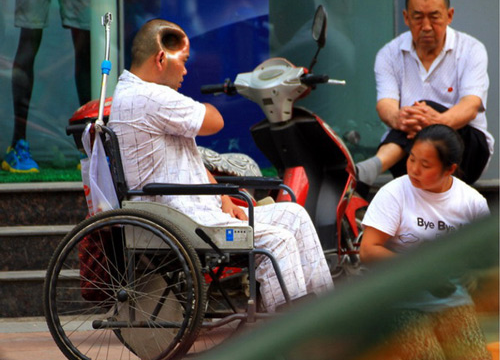 He has begun walking for the first time after being confined to a wheelchair when he left hospital. 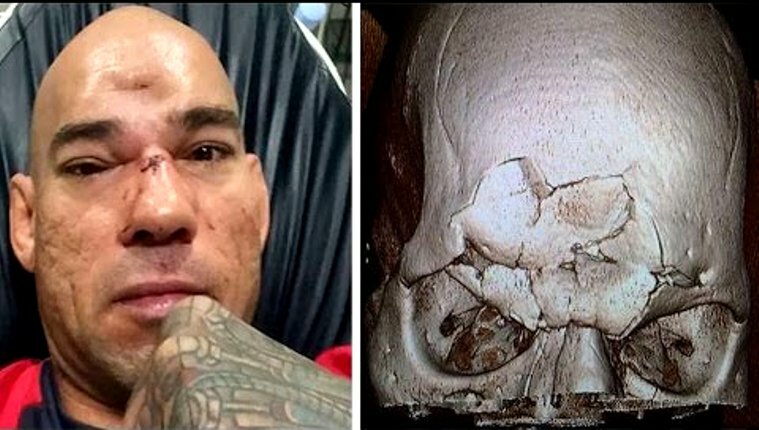 Evangelista "Cyborg" Santos (born December 12, 1977) is a retired Brazilian mixed martial artist who competed in the Welterweight division. In July of 2016, the 38-year-old was rushed from the ring to the hospital after being knocked out by Page when he landed a vicious knee to Santos’s forehead. He underwent a seven-hour surgery on July 27. According to Santos, the doctors were impressed at how fast he was able to recover from the severe injury. A man who was left with a large dent in his head after a fall has had his face rebuilt through pioneering surgery using his own body fat. 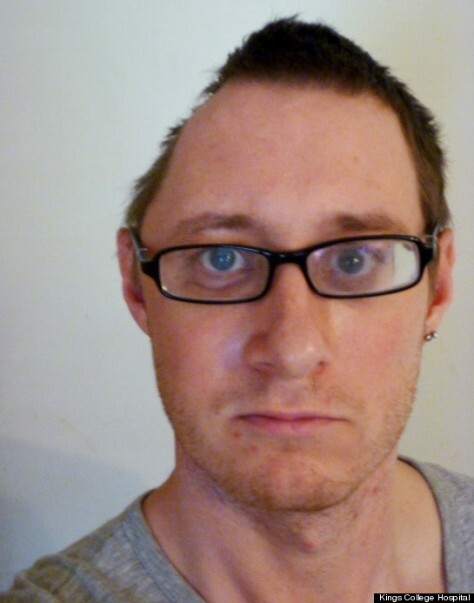 In the first procedure of its kind in Britain, Tim Barter, 32, had his forehead reshaped using fat from his stomach and titanium plates. The visual effects supervisor, who worked on the BBC’s Dr Who television series, shattered his skull, cheekbone and eye socket after he fell 25 feet from a drainpipe and hit his head on a brick wall. The accident, which happened as he tried climb into his house after locking himself out, left him in a coma for 10 days. 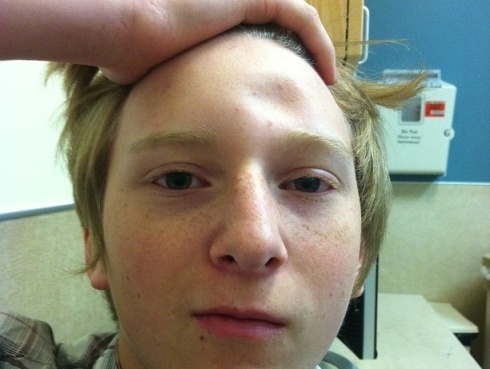 Doctors had to remove part of his skull on the right side of his head to relieve swelling and bleeding on his brain. However, he has now made a full recovery after pioneering treatment by Robert Bentley, a cranio-oral and maxillofacial surgeon from London’s King’s College Hospital. 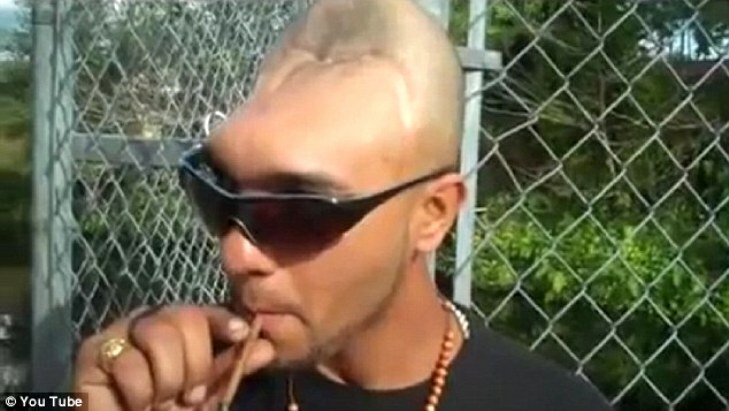 China’s Huanqiu website recently posted pictures of incredible people living with holes in their heads. 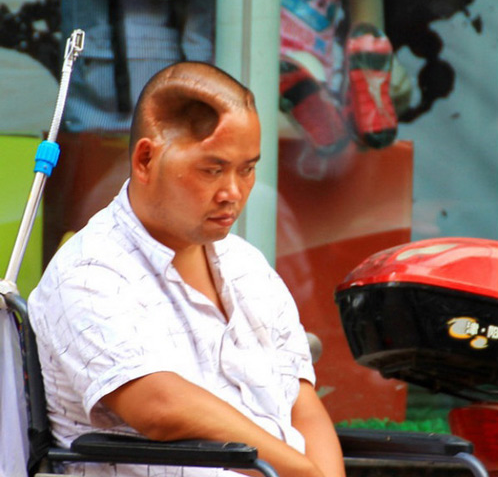 This man from Sichuan was in some sort of accident that left a fist-sized hole in his head. This photo was taken in Taiyuan, China on the street. We have been unable to find out how it happened or what effect it has had on the man. 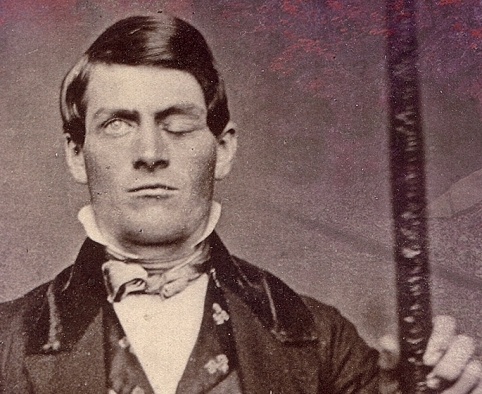 Phineas P. Gage (1823 – May 21, 1860) was an American railroad construction foreman remembered for his improbable survival of an accident in which a large iron rod was driven completely through his head, destroying much of his brain's left frontal lobe. On September 13, 1848, Gage was directing a work gang who were blasting rock. As Gage was doing this, his attention was attracted by his men working behind him. 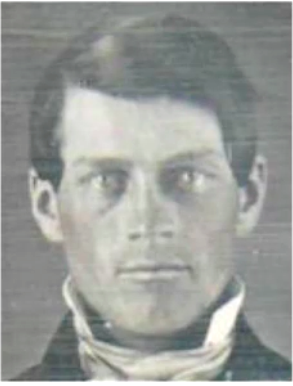 Looking over his right shoulder, and inadvertently bringing his head into line with the blast hole, the tamping iron sparked against the rock and the rod entered into the left side of Gage's face in an upward direction, just forward of the angle of the lower jaw, penetrating all the way through the brain and protruding out the top of his head. Gage was thrown onto his back and gave some brief convulsions of the arms and legs, but spoke within a few minutes, and walked with little assistance. "I first noticed the wound upon the head before I alighted from my carriage, the pulsations of the brain being very distinct. The top of the head appeared somewhat like an inverted funnel, as if some wedge-shaped body had passed from below upward. Mr. Gage, during the time I was examining this wound, was relating the manner in which he was injured to the bystanders. I did not believe Mr. Gage's statement at that time, but thought he was deceived. Mr. Gage persisted in saying that the bar went through his head. Mr. G. got up and vomited; the effort of vomiting pressed out about half a teacupful of the brain, which fell upon the floor." Reported effects on his personality and behavior over the remaining twelve years of his life‍—‌effects sufficiently profound (for a time at least) that friends saw him as "no longer Gage." 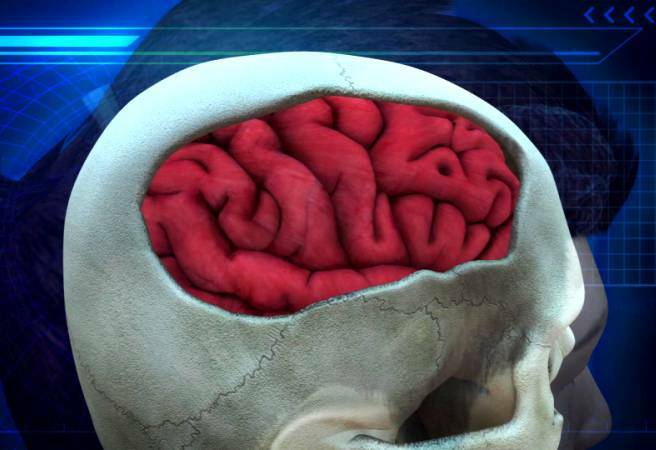 How can a human brain recover from traumatic injuries? The length of time a person remains in a coma and duration of loss of memory (amnesia) following the coma are useful in predicting how well a person will recover.